Anaheim Party Bus Rental for executive and corporate services can provide safe and comfortable transportation for your whole office or business team for a wide array of business functions. Our buses ar extremely clean and have advanced technology. Holding business meetings in and around Anaheim, California's scenery in one of our pure limos buses or luxury limousines will certainly attract the attention of your employees, co-workers, and staff. Our buses are highly equipped with the most advanced equipment that you may need to hold a business meeting. Our buses include large screen TV's, high quality sound systems, that have extreme comfort. ​Our prompt, reliable, elegant limo service comes available with catering to your business transportation and limo bus needs. We can transport you and your business partners in luxury today, on time arrival and on time departure is our main goals. Call us toll free today and we can make your reservation in a few minutes. We can do business together. Let us get you to your business convention in style and on time. We have a large fleet and a full staff of experienced team of leaders who are knowledgeable and skilled. We know luxury combined with partying. We know excellent customer service and great hospitality. We know Anaheim, CA and the surrounding cities. When you get your clients all together and call us, then you will get Anaheim's finest party bus rental service company you have just found here. Our licensed chauffeurs and staff are available to serve you and your business partners 24/7 Service for 365 Days a Year. We are here to serve you for holiday business parties, banquets and more. We are known as Anaheim Party Bus Rental and we our available for executive and corporate services. We stand behind our name in providing our clients the same great service and quality party limo buses for any special occasion or business venture. We offer the best corporate transportation accounts & solutions you will not find with other companies around the southern California area. Our company's history was made when we seen that there was a need in your area for a great party bus service. Our staff has experience in the service and hospitality industry and have been formally trained, licensed and certified. 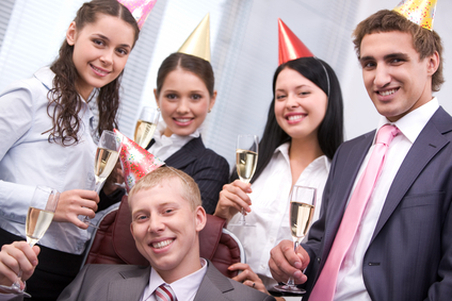 We love to exceed client expectations of what a party limo bus is supposed to be. We have made our buses a true reflection of just who we are. We can go far in serving you and your group while you party around the city doing what you want, desire, or need. Our drivers have taken a safety course for chauffeurs. We have built our company's custom party buses to fulfill any client's custom needs, wants, and desires. You are invited to make an easy online reservations and get a quick quotes right now to ensure availability upon arrival. You and your business group can have the perfect limo service or party bus welcome you at the international airport for transportation to your hotel and back to the airport. We offer our transportation services for roadshows and multiple destinations for your business convenience. Anaheim Party Bus Rental offers airport transport services for arrivals arriving in and around the city. Let us be your first choice when you and your business gets off from your long flight.